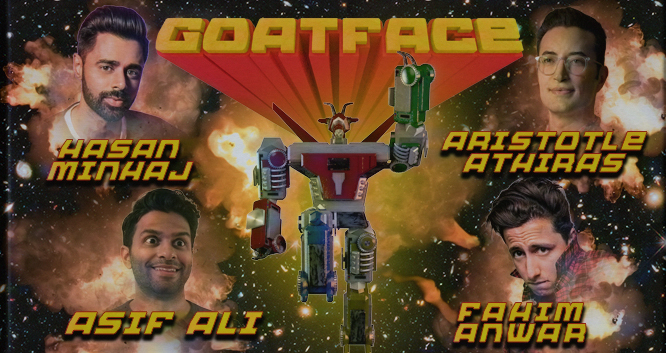 Hasan Minhaj, Aristotle Athiras, Asif Ali and Fahim Anwar come together to form Goatface. The brown sketch show you didn’t know you always wanted. This fall Goatface will premier their one hour special on Comedy Central.